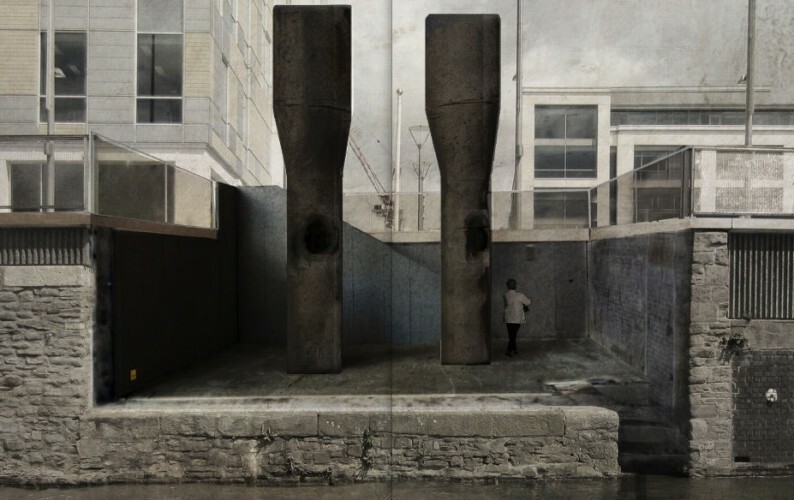 Bristol City Council is currently working with the artist Roger Hiorns and architects Witherford Watson Mann on a major new public art commission for Bristol's Temple Quay waterfront. The artwork, which will be the final element of the Temple Quay waterfront master-plan, is one of the artist's largest permanent public art works to date. The retrospective view of the pathway, 2016. Artist impression, courtesy of Witherford Watson Mann architects.